We have now been in our current workshop for a year. 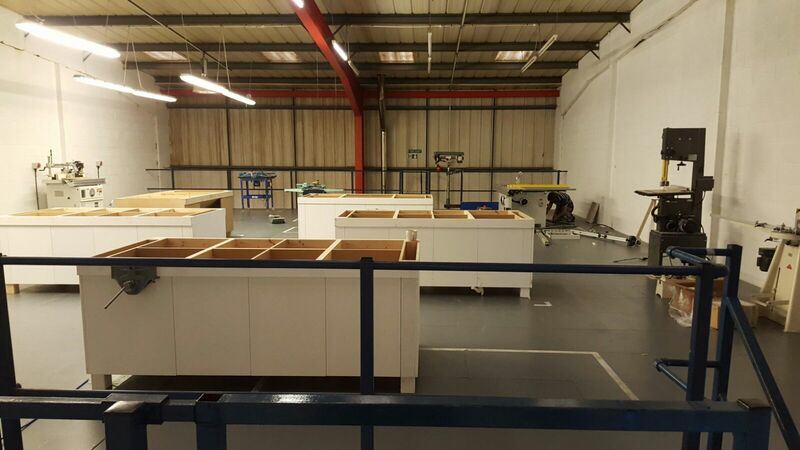 In 2015 we moved to a modern climate controlled unit on a busy industrial estate. Our previous workshop evolved from humble beginnings in a converted apple packing shed. We added new machines as and when we could, installing them where they would fit. Space was at a premium! Being able to start afresh in a new, bigger premises has been fantastic. We have implemented many changes that held us back in our previous location. 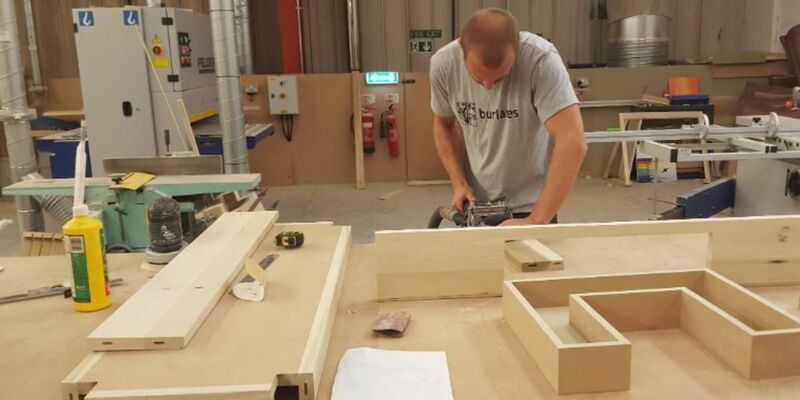 We are now able to organise our machines to streamline the work flow more effectively around the workshop floor, making it faster, cleaner and more importantly a comfortable and safer space for our joiners and cabinet makers to work. Being able to organise our machines has made us so much more efficient; enabling us to reduce our lead times and cut down on labour costs. Savings that we can pass on to our customers. We also have a full paint shop / spray booth allowing us to produce flawless finishes on timber and panels to meet our clients exacting standards. From our workshop we design and build unique, custom built fitted furniture, kitchen units, wardrobes, storage; bespoke, hand painted furniture to suit your style and the way you live. Every detail is considered and modified, to suit individual needs and design requirements. Clients receive a refreshing customer experience from our dedicated team of professionals who take the time, care and attention to detail needed to create a truly individual end product.